Whether you’re visiting this blog for the first time or you’re returning for a repeat visit, then you should know that among the vast array of articles featured on this site is a series I penned for The Reader (www.thereader.com) in 2004-2005 that explored Omaha’s Black Sports Legends. We called the 13-part, 45,000 word series, Out to Win: The Roots of Greatness. The following story is one installment from that series. 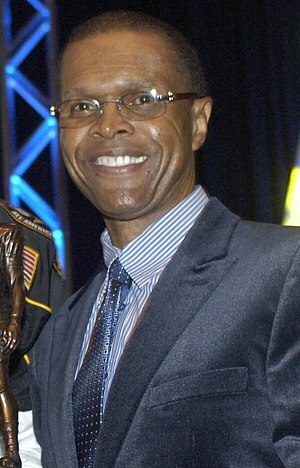 It features a pair of brothers, Gale Sayers and Roger Sayers, whose athletic brilliance made each of them famous in their own right, although the fame of Gale far outstripped that of Roger. Gale, of course, became a big-time football star at Kansas before achieving superstardom with the NFL‘s Chicago Bears. An unlikely set of circumstances saw his playing career end prematurely yet make him an even larger-than-life figure. 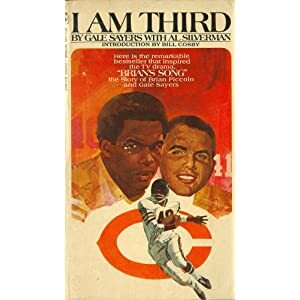 A made-for-TV movie titled Brian’s Song (since remade) that detailed his friendship with cancer stricken teammate Brian Piccolo, cemented his immortal status, as did being elected to the Pro Football Hall of Fame at age 29. Roger’s feats in both football and track were impressive but little seen owing to the fact he competed for a small college (the then-University of Omaha) and never made it to the NFL or Olympics, where many thought he would have excelled, the one knock against him being his diminutive size. The Sayers brothers are among a distinguished gallery of black sports legends that have come out of Omaha. Others include Bob Gibson, Bob Boozer, Ron Boone, Marlin Briscoe, and Johnny Rodgers. You will find all their stories on this site, along with the stories of other athletic greats whose names may not be familiar to you, but whose accomplishments speak for themselves. This is the story of two athletically-gifted brothers named Sayers. The younger of the pair, Gale, became a sports figure for the ages with his zig-zagging runs to daylight on a football field. His name is synonymous with the Chicago Bears. His oft-played highlight-reel runs through enemy lines form the picture of quicksilver grace. His well-documented friendship with the late Brian Piccolo endear him to new generations of fans. The elder brother, Roger, forged a distinguished athletic career of his own, one of blazing speed on cinder and grass, but one overshadowed by Gale’s success. From their early impoverished youth on Omaha’s near north side in the 1950s the Brothers Sayers dominated whatever field of athletic competition they entered, shining most brightly on the track and gridiron. As teammates they ran wild for Roberts Dairy’s midget football squad and anchored Central High School’s powerful football-track teams. Back then, Roger, the oldest by a year, led the way and Gale followed. For a long time, little separated the pair, as the brothers took turns grabbing headlines. Each was small and could run like the wind, just like their ex-track man father. But, make no mistake about it, Roger was always the fastest. Each played halfback, sharing time in the same Central backfield one season. Heading into Gale’s sophomore year nature took over and gave Gale an edge Roger could never match, as the younger brother grew a few inches and packed-on 50 pounds of muscle. He kept growing, too. Soon, Gale was a strapping 6’0, 200-pound prototype halfback with major-college-material written all over him. Roger remained a diminutive 5’9, 150-pound speedster whose own once hotly sought-after status dimmed when, bowing to his parents’ wishes, he skipped his senior year of football rather than risk injury. Ironically, he tore a tendon running track the next spring. His major college prospects gone, he settled for then Omaha University. Roger went on to a storied career at UNO, where he developed into one of America’s top sprinters and one of the school’s all-time football greats. He won the 100-meters at the 1964 Drake Relays. He captured both the 100-yard and 100-meter dashes at the 1963 Texas Relays. He took the 100 and 200 at the 1963 national NAIA meet. He ran well against Polish and Soviet national teams in AAU meets. The Olympic hopeful even beat the legendary American sprinter Bob Hayes in a race, but it was Hayes, known as “The Human Bullet,” who ended up with Olympic and NFL glory, not Sayers. As an undersized but explosive cog in UNO’s full backfield, Sayers, dubbed “The Rocket,” averaged nearly eight yards per carry and 19 yards per reception over his four-year career. But it was as a return specialist he really stood out. Using his straight-away burst, he took back to the house three punts and five kickoffs for touchdowns. He holds several school records, including highest rushing average for a season (10.2) and career (7.8) and highest punt return average for a season (29.5) and career (20.6). His 99-yard TD catch in a 1963 game versus Drake is the longest scoring play from scrimmage in UNO history. Even with his impressive track credentials, Sayers, coming off an injury, was unable to find a sponsor for a 1964 Olympic bid. Even though his small stature never held him back in high school or college, it posed a huge obstacle in pro football, which after graduation he did not pursue right away because the studious and ambitious Sayers already had opportunities lined-up outside athletics. Still, in 1966, he gave the NFL a try when, after prodding from “the guys” at the Spencer Street Barbershop and a little help from Gale, he signed a free agent contract with his brother’s team, the Chicago Bears. Roger lasted the entire training camp and exhibition season with the club before bowing to reality and taking an office job. “That’s when I realized I was too small,” Roger said of his NFL try. Gale, the family superstar, is inducted in the college and pro football Halls of Fame but his glory came outside Nebraska, where he felt unappreciated. Racism likely prevented him being named Nebraska High School Athlete of the Year after a senior year of jaw-dropping performances. In leading Central to a share of the state football title, he set the Class A single season scoring record and made prep All-American. In pacing Central to the track and field title, he won three gold medals at the state meet, shattering the Nebraska long jump record with a leap of 24 feet, 10 inches, a mark that still stands today. He got revenge in the annual Shrine all-star game, scoring four touchdowns en route to being named outstanding player. Recruited by Nebraska, then coached by Bill Jennings, Sayers considered the Huskers but felt uncomfortable at the school, which had ridiculously few black students then — in or out of athletics. Spurning the then-moribound NU football program for the University of Kansas, he heard people say he’d never be able to cut it in school. Sayers admits academics were not his strong suit in high school, not for lack of intelligence, but for lack of applying himself. Sayers was also motivated by his brother, Roger, the bookish one who preceded him to college. Each went on to get two degrees at their respective schools. On the field, Gale showed the Huskers what they missed by earning All-Big 8 and All-America honors as a Jayhawk and, in a 1963 game at Memorial Stadium the “Kansas Comet” lived up to his nickname by breaking-off a 99 yard TD run that still stands as the longest scoring play by an NU opponent. He was also a hurdler and long-jumper for the elite KU track program. 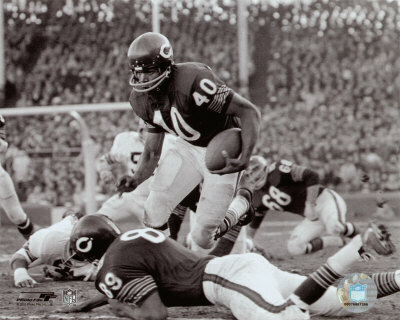 Upon entering the NFL with the Bears in 1965, Sayers made the most dramatic debut in league history, setting season records for total offense, 2,272, and touchdowns, 22, and a single game scoring record with 6 TDs. Named Rookie of the Year and All-Pro, he continued his brilliant play the next four seasons before the second of two serious knee injuries cut short his career in 1970. A mark of the impact he made is that despite playing only five full seasons, he’s routinely listed among the best running backs to ever play in the NFL. His immortality was ensured by two things: in 1970, the story of his friendship with teammate Brian Piccolo, who died tragically of cancer, was dramatically told in a TV movie-of-the-week, Brian’s Song, (recently remade); and, in 1977, he was inducted into the pro football Hall of Fame at age 29, making him the youngest enshrine of that elite fraternity. A quadruple threat as a rusher, receiver out of the backfield, kickoff return man and punt returner, Sayers’ unprecedented cuts saw him change directions — with the high-striding, gliding moves of a hurdler — in the blink of an eye while somehow retaining full-speed. In a blurring instant, he’d be in mid-air as he head-faked one way and swiveled his hips the other way before landing again to pivot his feet to race off against the grain. In the introduction to Gale’s autobiography, I Am Third, comic Bill Cosby may have come closest to describing the effect one of Sayers’ dramatic cuts left on him while observing from the sidelines and on the hapless defenders trying to corral him. Lightning fast moves may have sprung from an unlikely source — flag football, something Heisman Trophy winner Johnny Rodgers also credits with helping develop his dipsy-doodle elusiveness. “The flags were pretty easy to grab and pull out,” Sayers said, “and so, yes, you had to develop some moves to keep people away from the flags.” The Sayers boys got their first exposure to organized competition playing in the Howard Kennedy Grade School flag football program coached by Bob Rose. An old-school disciplinarian who mentored many of north Omaha’s greatest athletes when they were youths, Rose embodied respect. “He was a tough coach. I think he had a little attitude that said, in being black, you’ve got to be twice as good, and I think he tried to instill that in us at an early age. He’d say things like, ‘You have to be faster, you have to be tougher, you’ve got to hit harder.’ We all developed that attitude that, ‘Hey, we’ve got to do better because we’re black.’ And I think that stuck with me,” Gale said. From the mid-1950s through the late 1960s Omaha’s inner city produced a remarkable group of athletes who achieved greatness in a variety of sports. Many observers have speculated on the whys and hows of that phenomenal run of athletic brilliance. The consensus seems to be that athletes from the past didn’t have to contend with a lot of the pressures and distractions kids face today, thus allowing a greater concentration on and passion for sports. Then, there was the rich proving ground he and Roger found themselves competing in — playing with or against such fine athletes as the Nared brothers (Rich and John), Vernon Breakfield, Charlie Gunn, Bruce Hunter, Ron Boone. “No doubt about it, we fed off one another. We saw other people doing well and we wanted to do just as well,” Gale said. As the Sayers began asserting themselves, they pushed each other to excel. Roger and Gale had so much ability that the exploits of their baby brother, Ron, are obscured despite the fact he, too, possessed talent, enough in fact for the UNO grad to be a number two draft pick by the San Diego Chargers in 1968. As much as he downplays his own track ability, Gale held his own in one of the strongest collegiate track programs at Kansas. It was under KU track and field coach Bill Easton he discovered a work ethic and a mantra that have guided his life ever since. “I thought I worked hard getting ready for football,” he said, “but when I joined his track team I couldn’t believe the amount of work he put me through and I couldn’t believe I could do it. But within months I could do everything he asked me to, and I was in excellent shape. He told me, ‘Gale, you cannot work hard enough in any sport, especially in track.’ The things I did for him on the track team carried on through my pro career in football. On the eve of his pro career, Sayers was entertaining some doubts about how he would do when Easton reminded him what made him special. “You go for broke every time you go.” Sayers said it’s a lesson he’s always tried to follow. A saying printed on a card atop the desk in Easton’s office intrigued Sayers. The enigmatic words said, I Am Third. When he asked his coach their meaning, he was told they came from a kind of proverb that goes, The Lord is First, My Friends are Second, I Am Third. The athlete was so taken with its meaning he went out and had it inscribed on a medallion he wore for years afterwards. His wife Linda now has it. Life after athletic competition has been relatively smooth for Gale and his brother. Roger embarked on a long executive corporate career, interrupted only by a stint as the City of Omaha’s Human Relations Director under Mayor Gene Leahy. He retired from Union Pacific a few years ago. Today, he’s a trustee with Salem Baptist Church. 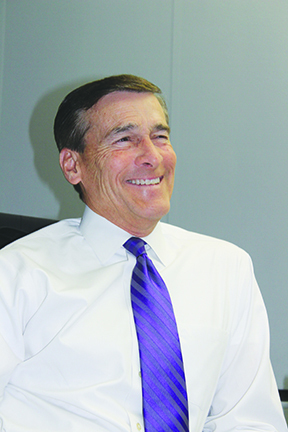 Gale served as athletic director at Southern Illinois University before starting his own sports marketing and public relations firm, Sayers and Sayers Enterprises. Next, he launched Sayers Computer Source, a provider of computer products and technology solutions to commercial customers. Today, SCS has brnaches nationwide and revenues in excess of $150 million. Besides running his companies, Sayers is in high demand as a motivational speaker. Both men have tried distancing themselves from being defined by their athletic prowess alone. Getting on with their lives has been a constant with the brothers since growing up with feuding, alcoholic parents, sparse belongings and little money in “The Toe,” as Gale said residents referred to the north Omaha ghetto. His family moved to Omaha from bigoted small towns in Kansas, where the Sayers lived until Gale was 8, but instead of the fat times they envisioned here they only found despair. Finding a way out of that cycle became an overriding goal for Gale and his brothers.